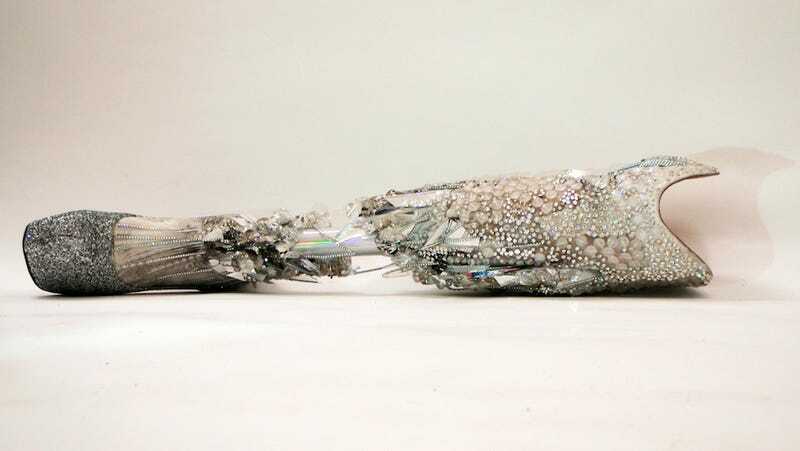 While many prosthetic limbs are either purely functional, or designed to somewhat resemble the limbs they replace, the prostheses designed by Sophie de Oliveira Barata for her Alternative Limb Project celebrate their artificial nature. This design studio creates personalized limbs that offer a beauty very distinct from their flesh-and-blood counterparts. The Alternative Limb Project does offer realistic prosthetic limbs, but for the client looking for something a little different, de Oliveira Barata offers "unreal" and "surreal" limb options. It's delightful to page through her gallery and read the testimonials for clients who opted for unreal prostheses. For some, creating a novel limb was a very personal way for them to take back their bodies and feel comfortable their own skin (and absence of skin). For others, these limbs are a fashion choice, simply another form of self-expression that happens to be available to them.